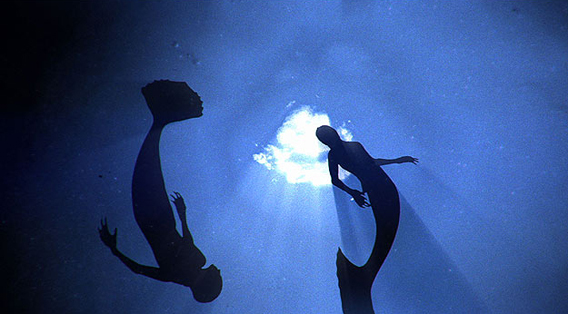 If you were lucky enough to catch The Animal Planet’s two new documentaries about mermaids, The Body Found and The New Evidence, you were probably left confused and uninformed. The audience was only informed at one point in the credits that the interviewees were actors, not scientists. And rather than covering the long list of problems that the ocean, and species that live in or near it, is facing, the films are about the hunt for mythical creatures that actual scientists are sure do not exist. The films may deserve to be aired, but is The Animal Planet the best channel? No, particularly when the national government has to release a statement to clear up the confusion. Mermaids are not real, but the threats to the ocean are. The oceans are not inexhaustible, we’re currently overharvesting many resources, and the consequences can be disastrous. Current fishing practices are not just problematic for the fish species we are trying to catch. Just because a fish is from “the ocean” doesn’t mean you should release it in the nearest body of salt water. Sharks aren’t a threat to you, they’re important, and they’re in trouble. Although mermaids don’t exist, the ocean is still full of wonder, and it needs your help! When you continue to over harvest, you can remove a key species in the food chain. This can result in a trophic cascade, where the entire food chain falls apart. If you were to take out the leatherback, jelly populations would flourish, which would threaten other species and habitats, eventually disrupting the system throughout the ocean. Every species is important: tuna, salmon, etc. Bycatch, bycatch, bycatch. One of the biggest threats to leatherbacks is bycatch from the supertrawlers that roam the oceans. In the hunt for the main fisheries consumed around the world; turtles, dolphins, sharks, and seabirds are all victims to bycatch. Current estimates are that 7 million tons of bycatch are caught and discarded every year. Invasive species can destroy entire habitats. If introduced, a non-native species can outcompete the native species, wiping out populations and leading to extinction. What if this species ate all of the jellies in the foraging areas? Where would that leave leatherbacks? Sharks and leatherbacks are in the same boat (or ocean). They are both endangered and they are both essential to balancing the ocean. Now you know that mermaids are not real, the ocean is in trouble, and there are ways you can help. This entry was posted in Uncategorized on May 30, 2013 by Malcolm.